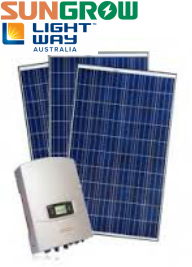 ​ * Sungrow Inverter/Lightway Panels combination illustrated. Other choices of Inverter and Panel brands are available. Prices may vary. Ask us about your preferred options.